Bezos’ divorce is dominating the news. It’s a tragic situation. However, the calls for concern about Amazon’s future will fade away as the company’s leaders provide once again that they are true strategic wolves in a world of sheep. You should be a wolf too! In recent days, the story of Jeff Bezos’ personal life has dominated the media. For those unfamiliar with the situation, the Amazon founder and has wife, MacKenzie, are ending their 25-year marriage. I’m not interested in addressing the personal side of the divorce or what led up to it. Situations like these are painful for many and, frankly, the type of drama more fitting for other venues and writers. I am interested in the business impact to Amazon and the shifts caused in the world’s richest people list. On the latter issue, Bloomberg projects that MacKenzie Bezos will catapult to the top position on the Bloomberg Billionaire list of the world’s richest women. The top position is currently held by Fracoise Bettencourt Meyers. The granddaughter of L’Oreal founder Eugene Schuleller, Meyers has a net worth of $45.6 billion. 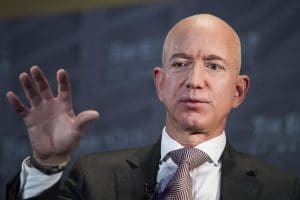 “Shareholders may also worry about the Amazon CEO’s state of mind as he goes through a difficult personal situation.” (CNBC) – of course, Jeff Bezos’ extradorinary wealth may help mitigate this impact. No matter how you frame it, the divorce will cause distraction and disruption, but in my opinion it won’t be Amazon’s undoing. Why? Well, Bezos is a strategic wolf in a world full of sheep. Two seemingly unrelated events happened in 1996. I invite you to join me as I draw from both events, take the liberty to make a few connections, and challenge your approach to strategy development. Dolly the Sheep was born at the Roslin Institute, part of the University of Edinburgh in Scotland. She was the first-ever cloned mammal – the product of a cytoplasmic donor, a nuclear donor, and a surrogate ewe. At the time of her birth, the story dominated the media. It was called everything from an amazing scientific feat to a moral issue that would unwind the fabric of humanity. Dolly’s saga led to much public debate and many laws to curtail human cloning. Dolly lived only 6 years. That’s considerably less than the typical 10-12 year lifespan, but her impact was significant. Today, she is on display at the National Museums Scotland. As interesting as the story of Dolly the Sheep is, this article is not about cloning mammals. However, it is about cloning. The November-December 1996 Harvard Business Review contains Michael Porter’s seminal piece What is Strategy? Among other things, Porter, who is a faculty member at the Harvard Business School and prolific writer, explains that many leaders confuse strategic positioning with operational effectiveness. In short, operational effectiveness focuses on performing the same activities as your competitors; strategic positioning means that you are making trade-offs, choosing not to do some things, and taking on different activities. If you will allow me a few liberties, I’d like to provide an example to illustrate the connection. In the not so distant past, there were many more brick and mortar bookstores. It is likely that many bookstore chain leaders focused on reducing costs, growing market share, acquiring better locations, increasing year-over-year revenue, or a myriad of other goals. True, these goals were good. The more successful chains raced to the top of the heap. However, over time, the efficiencies achieved by one company were likely replicated by its competitors. The reality is that they weren’t thinking strategically. They were merely improving on the practices of others in the industry. They were employing a Dolly the Sheep Strategy. As time passed, the differences among them became less and less. One company would improve a process and eventually the rest of the pack would catch-up. In many ways, they were clones of one another. As a result, the race to the top turned into a sprint to the bottom. This required organizations to compete on price, which is not an easily sustained, long-term plan for most organizations. Then, along came Amazon and the Amazon Strategy. Amazon was competing in the same industry, but doing very different activities. Jeff Bezos was thinking strategically. Bezos’ strategy was to be a wolf, and many companies paid the price for their Dolly the Sheep Strategy. Are you employing a Dolly the Sheep Strategy or an Amazon Strategy? Is your current strategic direction mostly focused on operational effectiveness? If so, how sustainable is that approach? How long will it be before your operational improvements become the industry’s status quo? What might you do today to begin thinking more strategically? What new activities might your organization take on if you were to employee an Amazon strategy? What about your personal life and career? Are you simply doing what those around you are doing? What new paths should you take to begin doing things in new ways? How are you working to make ‘step changes’ in your skills, tools, and knowledge? Where will you be in 5, 10, and 20 years?